Standard fit. 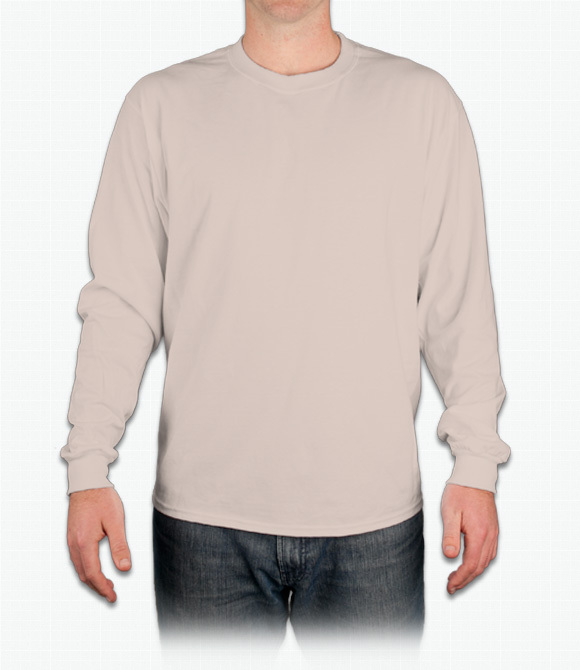 Long sleeve version of our Hane's beefy-T's are great for chilly days. Same soft, durable material. "T-shirts came out great, but the ooShirts site should clarify that some of the colors aren't made with the ringspun cotton unless it's specified that it is.I was confused because the ash gray color had said 99% cotton, and I assumed it was ringspun not preshrunk because the other colors were all ringspun too." "The term "BEEFY" can be mis-interpreted when the shirt is being gifted to a women. This could often lead to a very opposite effect. May want to consider this terminology. " "We purchased the Hanes Beefy-T Long-Sleeve T-Shirts for work and my husband is extremely pleased with the quality of these shirts. "